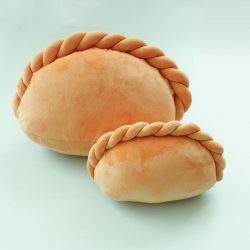 A uniquely Singaporean collaboration with Naiise and Nom Nom Plush to create the cutest and most huggable Old Chang Kee Curry Puff Cushion in town! Limited Edition! Grab yours today by simply presenting Old Chang Kee receipt at any Naiise store and get to enjoy 10% off the Curry Puff Cushion.